Beautiful Small Village Or Township In The Autumn Forest. 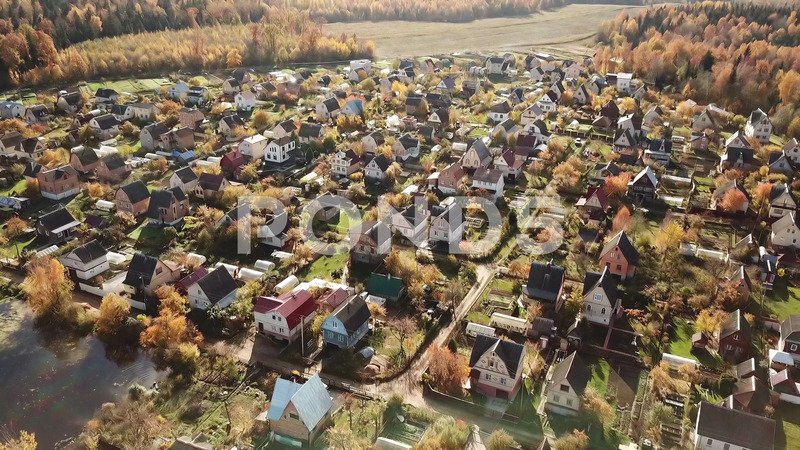 Description: AERIAL SHOT: Beautiful small village or township in the autumn forest. A lot of houses roofs around. Drone is turning right.